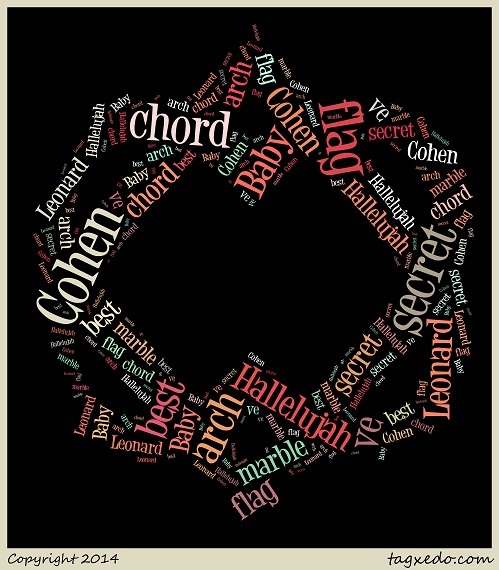 After seeing word art of another of Leonard’s songs on the Leonard Cohen Forum, I was inspired to do some using Hallelujah (no surprise there for people who know me!) When I discovered they allow users to upload their own images I of course had to try using the image of the Unified Hearts. I like the result! This entry was posted in Hallelujah and tagged Hallelujah, Leonard Cohen, Unified Hearts.